New York, Aug 28 (IANS) Under-representation of skills had forced women working in the IT sector to flee the profession but a 12-year-old model by an Indian-origin researcher can help stem the gender bias, a significant study says. 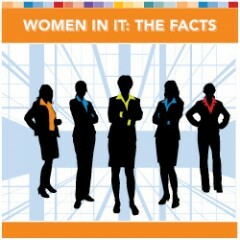 Studies show that number of women who have graduated with degrees in computer and information science have plummeted from 37 percent in 1985 to 18 percent in 2011. “The failure to ‘stop the bleeding’ stems, in part, due to the industry’s reliance on an oft-cited and outdated research model,” said Cindy Riemenschneider, an associate dean for research at Baylor University’s Hankamer School of Business. Building upon the 12-year-old model developed by Indian-origin researcher Manju Ahuja, Riemenschneider and colleague Deborah Armstrong from Florida State University tested Ahuja’s findings by surveying IT professionals from a Fortune 500 company over a period of three years. Using results of their research, they were able to propose a new model they hope would re-energise the dialogue regarding creating a more diversified IT work environment. Some areas where improvement can be made are mentoring, social interaction and career-stage awareness. “The further women move up, the fewer female mentors they have. Women might be mentored by a male, and the lens he looks through might not be the same one she looks through,” Riemenschneider observed. “Employers need to be proactive to help employees at whatever stage, to keep them within the company, so they can move up the corporate ladder,” she said. They need to recognise that employees need different opportunities for different stages of their careers, the study concluded.